For a Great Value Free Quote, Contact Us Now! One of the great things about living in Paddington is the easy access to Sydney’s CBD. Not far from Bondi Beach and right next to Centennial Park, as for location, it doesn’t get much better! 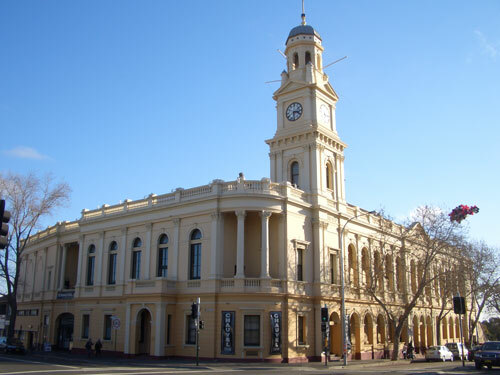 However, if you are fortunate enough to live within this suburb, you probably live a busy and somewhat stressful life. Like most Sydney residents, you probably have a full time job, several outside of work commitments, and you try your best to squeeze in some family/social time in between. When inconveniences like having too much junk in your home arise, the last thing you want to do is have to deal with it with your own time and money. If this circumstance is familiar to you, you’re in luck! Same-Day Rubbish Removal specialise in removing waste that would usually be difficult to dispose of, saving you time, money and stress. 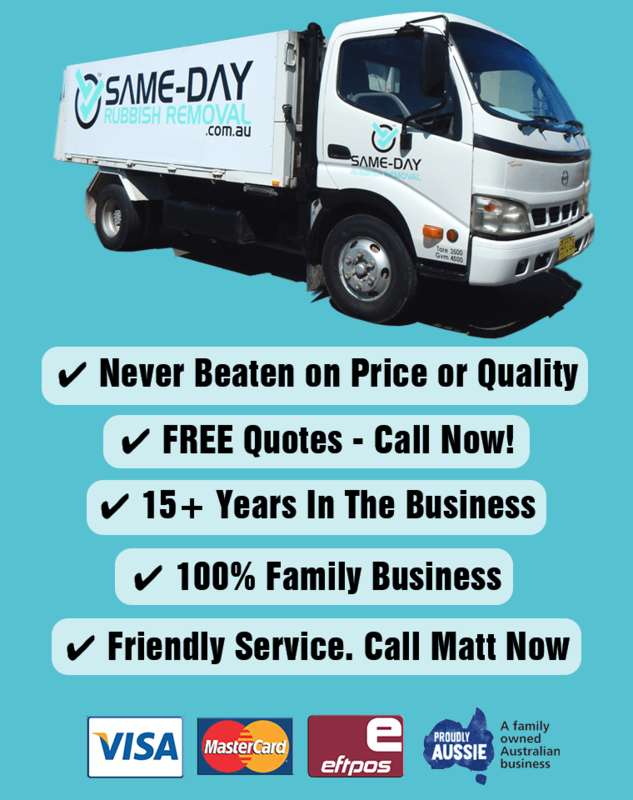 Same-Day Rubbish Removal’s experienced team have been cleaning up Sydney homes and businesses for the past 10 years. We know Sydney like the back of our hand and we can come to Paddington or surrounding areas fast. It is our many years of experience that has helped us refine our service so that we can be the fastest and cheapest junk removal business. If you’ve been thinking about rubbish removal, you’ve probably looked at the other options – taking it to the tip yourself or hiring a skip bin. These both cost money, take up your precious time and can be a lot of hard work. When our friendly team come to take your waste away, you just direct us to what items need to be disposed of and we will hand load it into our truck. You don’t have to do a thing! Junk removal couldn’t get any easier. Our experience in the rubbish industry has also opened our eyes to the amount of waste that is being produced with Sydney. It is horrible to hear how much garbage is polluting the Sydney Harbour and oceans around us. 900 tonnes of trash is collected off Sydney beaches each year. 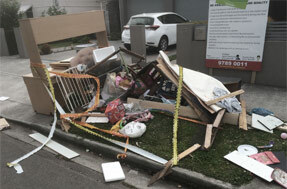 Hearing and seeing things like this motivated us to try and be the most responsible rubbish removal company in Sydney. We don’t want any junk going to the wrong place, if your items can be recycled, we’ll make sure it happens. Whether you’ve got an old washing machine, couch, or mattress, Same-Day Rubbish Removal will have it disposed of in the most environmentally friendly way – usually recycling! Our amazing service extends far beyond Paddington and Sydney’s CBD, whether you’re up on the Northern Beaches, down in the Sutherland Shire, or in a nearby suburb such as Ultimo, our team is ready to come and help you out. We take pride in our work, so you can be sure that we’ll do the job properly. If there is just a spot of junk on your property to be removed, our team will not leave until they have loaded it into the truck. 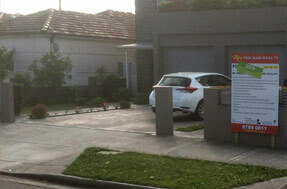 If you’re still not sure whether our service is right for you, give us a call on 0402 737 046. We’ll talk to you about your needs and give a no obligation free quote. We look forward to hearing from you.